It’s decided. You’re going to take the plunge and volunteer abroad. But where do you even begin? How do you decide what type of placement you’re looking for, which country, or even with which organisation? If I managed to inspire you with my Six Reasons Why You Should Volunteer Abroad article last week, then the next step is to ask yourself some questions to work out exactly what you’re looking for in your volunteering placement. By considering these seven key points before you volunteer, you’ll be much closer to finding that rewarding and meaningful volunteering project abroad. What are your volunteering goals? Before even investigating volunteering opportunities, you need to begin with this: what do you hope to achieve by the end of the placement? While it might be hard to define now, thinking about this early on will help you to zoom in on the type of experience that will suit you best. Now I will admit I’ve barely come close to achieving any of them. I can speak Spanish but not yet fluently, I have some ideas about the direction of my life, and I’ve only yet made it as far as Bolivia and Peru. However, I’m getting there, and having these goals in mind when I started has kept me focused by ensuring that I continue to select the best organisations to allow me to meet these goals. My volunteering placements have all been closely linked to the education sector, and this has lead to the realisation that yes, I love working with young people but no, I don’t want to be a teacher. Learning Spanish has also made me open to volunteering in different places, and allowed me to see parts of South America that I wouldn’t have visited otherwise. What’s more, it’s often hard to find placements where you won’t be required to at least cover bed and board – and others sometimes ask you to cover administrative or project costs. In light of this, by having clear goals will mean that the organisations into which you are investing your money, but, more importantly, your time, will be rewarding in terms of your personal goals too. How much guidance do you want or think you will need during the placement? – Would you want more support and guidance when you arrive in your new country? My first ever volunteering abroad placement fell wholly into the former. Arriving into Sucre, Bolivia to be the Volunteer and Communications Director for the charity BiblioWorks, there was no one to greet me at the airport, nor show me around the city. That was not really the way that the volunteering programme worked: we expected volunteers to arrive in the office when they were ready to get started, and our support would start from there. Although I was the point of contact during their stay, our volunteers would disappear off into a rural location to work in one of our libraries, and we often wouldn’t see them until they finished their placement. My interaction was entirely in Spanish, and while I had one Skype conversation with the previous Volunteer Director, there was no one really there to guide what I was doing. Keep Reading The Big Question: Should You Pay to Volunteer? While it can take some getting used to, this type of placement is ideally suited to the adventurous and independent traveller, who’s happy to dive in without much guidance and get their hands dirty. For me, I enjoyed working with my Bolivian colleagues and the freedom that my lack of job description offered meant I was able to come up with, discuss and introduce new ideas as I pleased. If you’re less keen to be left to your own devices, then you need to look for organisations offering more structured programmes such as those with a coordinator who will welcome you to your new country, introduce you to your role and help you get to grips with your new life. This style of volunteering can be similarly open to your creative input, and being around a volunteer coordinator with a lot of experience in the sector and with that particular organisation will mean you will learn ever more during your stay. Are you looking for a group volunteering experience, or will you happily go it alone? One of the most rewarding parts of volunteering is sharing the experience with your colleagues. 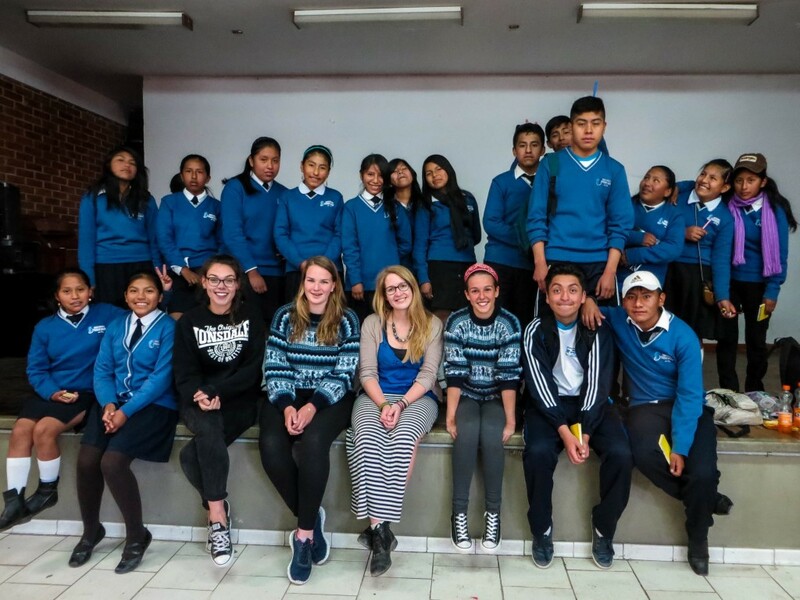 I’ve joked a lot recently that I’ve learned more about Italian culture from my house mate and fellow LAFF volunteer (see the Volunteer Spotlight interview with Mariasilvia if you want to find out more) than I have about Peru. While (I hope!) this isn’t true, I’ve enjoyed the chance to hear about others’ motivations for volunteering and learn from them too. The only issue with group volunteering is that if you’re looking to learn a new language, being around other non-locals will limit the amount of time you spend speaking in your new language, as conversation invariably ends up being in English. In Sucre, volunteering as a lone foreigner but alongside my Bolivian colleagues left me with little option but to be immersed in, and most importantly, speaking Spanish. Most of the people who volunteered for BiblioWorks did so alone, and I always had incredible respect for our volunteers. They would go and live in rural communities with often only an intermediate level of Spanish, and yet would come away learning so much Spanish and feeling so proud of what they had achieved in only a short few months. Which country offers your perfect volunteering location? I will admit that I sometimes make decisions based upon little more than just gut instinct. And surprisingly, they seem to turn out positively; at least most of the time. My move to Bolivia was no different. As a country still relatively untouched by tourism, where few people speak much English and it retains fascinating relics of pre-colonial customs and culture, it was a perfect destination for me to learn Spanish, explore under my own steam and learn about a country so different from my own. While it was certainly challenging and lacking in comfort at times, it was a real adventure and I loved it. 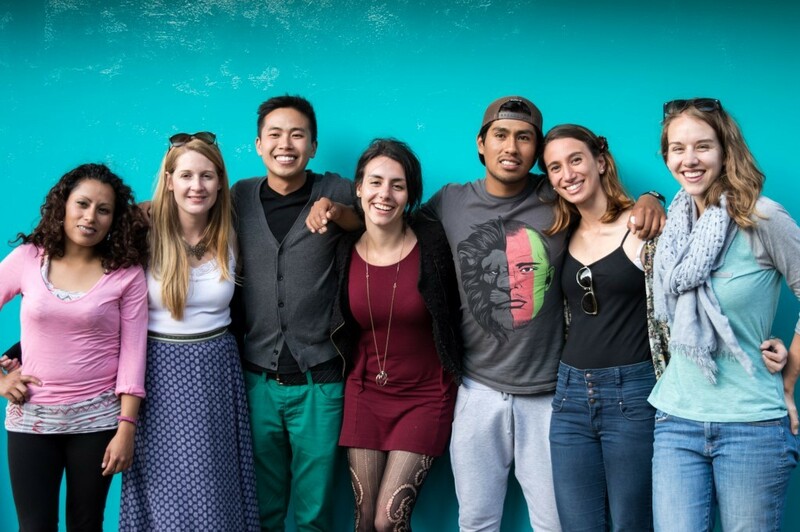 The best thing about choosing to volunteer in South America is its variety of countries and the different lifestyles and cultures that each represents. If you’re not like me and prefer to find out at least a little bit about a country before you move there, my guide to the different South American countries and the types of volunteering placements you can find in each will go a long way in helping you to identify your best fit. Or, if you like the idea of throwing caution to the wind, pick an organisation and placement based on its individual merits, not its location. You might be surprised by which country you end up falling in love with. In which type of location would you prefer to be based? Volunteering in a large, South American city, and volunteering in a tiny, rural village, can be very different experiences. Lima, Peru, for example, offers you home comforts – world-class dining and a plethora of shopping centres – whereas living in a remote village, maybe four hours from the nearest town, means none of the above. When I volunteered in a rural library, hours on a dirt road from Sucre, Bolivia, I was lucky if there was electricity so that I didn’t have to eat dinner in darkness. Obviously, both have their merits – and their problems. City-living is comfortable but can often be isolating as it’s much harder to meet and build friendships with local people, whereas in a rural town, the sheer novelty of having a new person living in the vicinity will mean that your neighbours, driven by curiosity, will go out of their way to get to know you and welcome you into the community. Rural volunteering in South America will generally fall into two categories: jungle placements working with animals, or small education projects working with young people or adults. You might also find construction projects, but I will admit I’ve had little experience of these. I seriously considered volunteering in the jungle before realising that I hate humidity, snakes and mosquitos, and a day or two living in close proximity to these creatures would have been a decision I would have quickly come to regret. 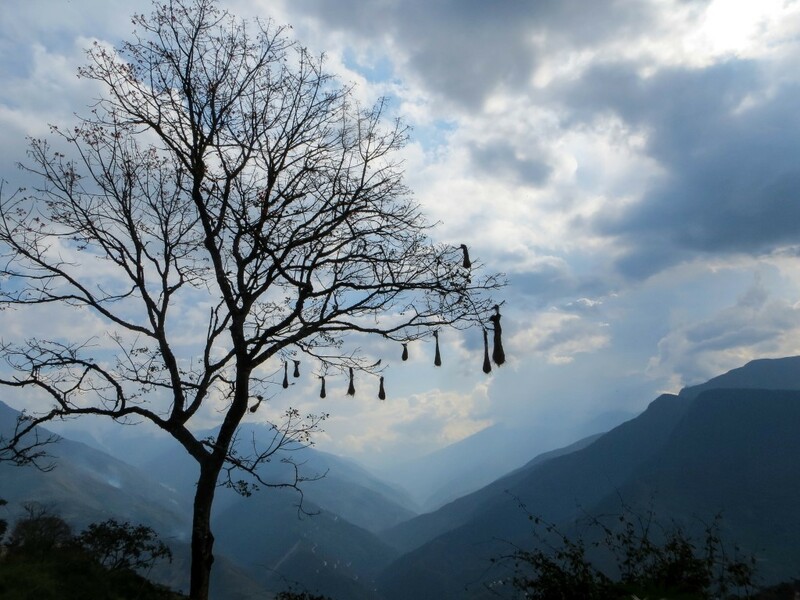 Education projects in rural locations will most probably mean very basic living conditions, but the stunning South American views on your doorsteps will more than make up for any discomfort. How can you use your existing – or develop future – language skills? As I mentioned previously, learning Spanish was at the top of my goals for volunteering in South America. 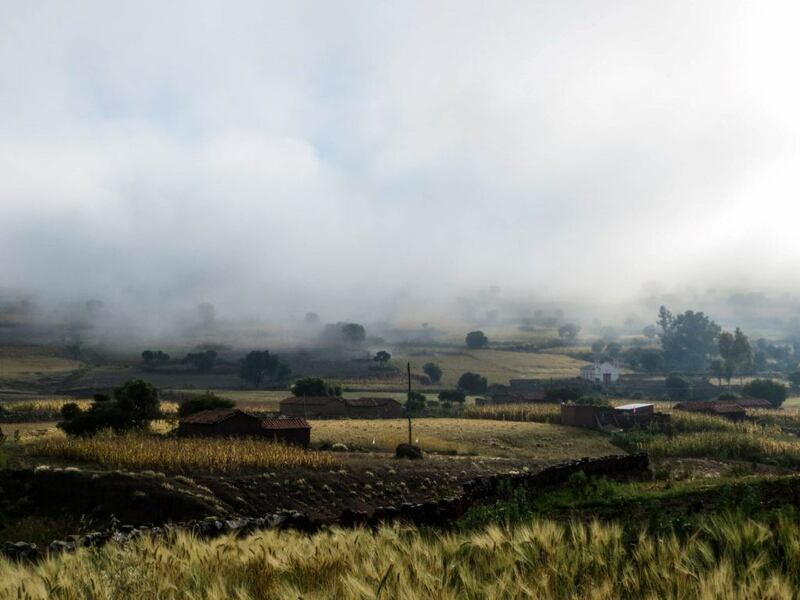 I knew that when I arrived I wasn’t going to be useful (I had attempted some lessons in the UK but found myself thoroughly unprepared when I actually got to Bolivia), but would soon pick up enough to be able to communicate effectively. This is one of the major issues with volunteering that I had seen in South America. 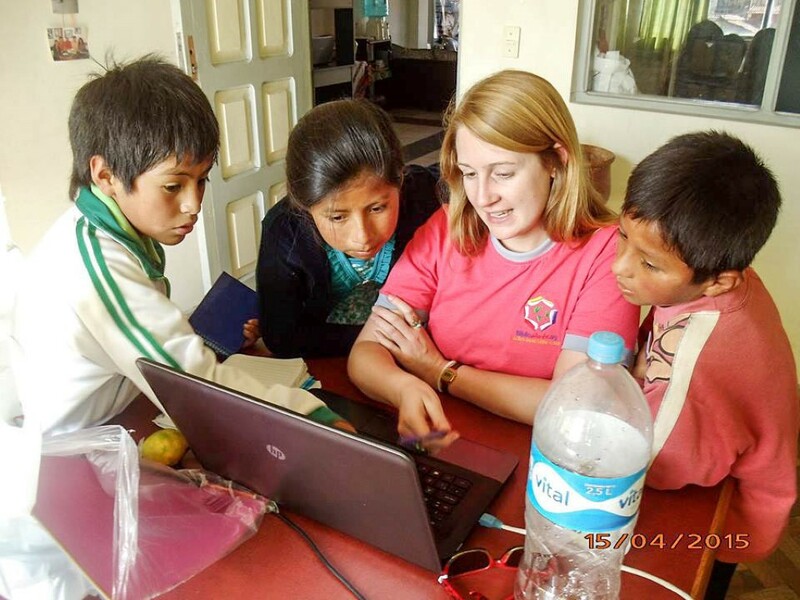 Although your intentions might be good, if you don’t speak the local language (which in some parts is actually Quechua or another indigenous language, rather than Spanish) then the extent to which you can make an impact will be severely limited, and the types of placements that you can help with effectively will be reduced. Volunteers for an organisation I once worked for, LAFF, fell into two categories: those of us with advanced Spanish and those without. More fluent Spanish meant we could interact with the different projects, whether it was by delivering workshops or helping with capacity building. Those without these language skills could still play a very active role, but this was limited to working with our international, English-speaking volunteers online and supporting with marketing and administration. Both of these tasks were of equal importance to the day-to-day running of the organisation, but clearly required very different levels of Spanish. 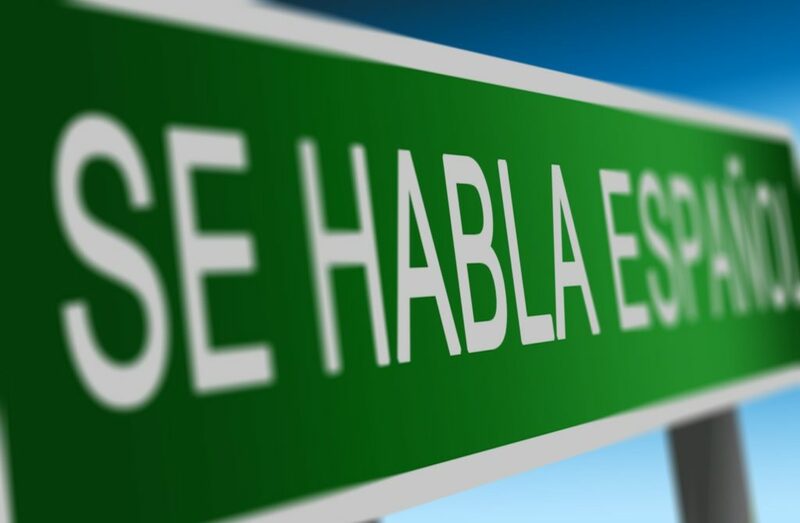 Bear in mind that a lot of placements will assist you in finding Spanish lessons, or you can search for a tandem partner with whom to ‘swap’ English for Spanish on a regular basis. We often had volunteers in Sucre who would intensively study Spanish for eight hours a day at one of the language schools so that they had enough Spanish to go and work in one of the libraries. Thanks to the inexpensive nature of Spanish lessons in Bolivia (and a few other South American countries), this a good way of surmounting the language barrier. However, if you plan on learning a language to an intermediate level or higher, it’s important that you think about the next question. Unfortunately, even with the best of intentions, if you cannot commit a decent amount of time to volunteering, then you may actually do more harm than good. Although a shorter time volunteering in sectors such as construction might be more appropriate, any placement that involves human interaction and establishing relationships with people (particularly children), you need be serious about how much time you can dedicate. “But what if I can’t afford it?” I hear you cry. In a few weeks, I’ll be showing how you can save money to afford to volunteer for longer, but for now, bear in mind that volunteering is often a much cheaper option than travelling. Staying in one place might limit your chances to see a wide variety of destinations in one country, but you’ll get to understand that one place really well. Added to this, you’ll get to know local people better, and often you’ll find out about beautiful and undiscovered places nearby that are much more interesting than the oft-visited places on the tourist trail. Personally, I try and avoid volunteering for any time shorter than three months as I believe it’s difficult to get your teeth into and your head around your position otherwise. What you need to bear in mind is that a) sustainable and profound impact through volunteering takes a long time to affect and b) your own learning journey depends upon the amount of time you can dedicate to the experience and how deeply you are happy to immerse yourself. To help you even further, I’ve put together a list of the seven best sites that I use for finding free and low-cost volunteering in South America. I’ve also written about how you can use volunteering for a career change and some of the misconceptions volunteers often have. But before you go, make sure you check out this BUMPER guide to volunteering in South America. This article also has information about volunteering abroad around the world. How long should you commit to volunteer? And most importantly, where can you find the best (and low-cost) opportunities? It really is an unmissable guide for anyone looking to volunteer in South America this year.